We have GREAT choices for skin refreshment and two of the most popular this time of year are chemical peels and intense pulsed light (IPL). In fact, our favorite combination treatment is having both IPL and a peel the same day. This is the perfect time of year for skin refreshment after the summer. Let’s break down what you can expect from peels versus intense pulsed light treatments. Chemical peels address the surface of the skin and by doing so peels works on sun damage, fine lines, acne, excess pigmentation and making skin glow. 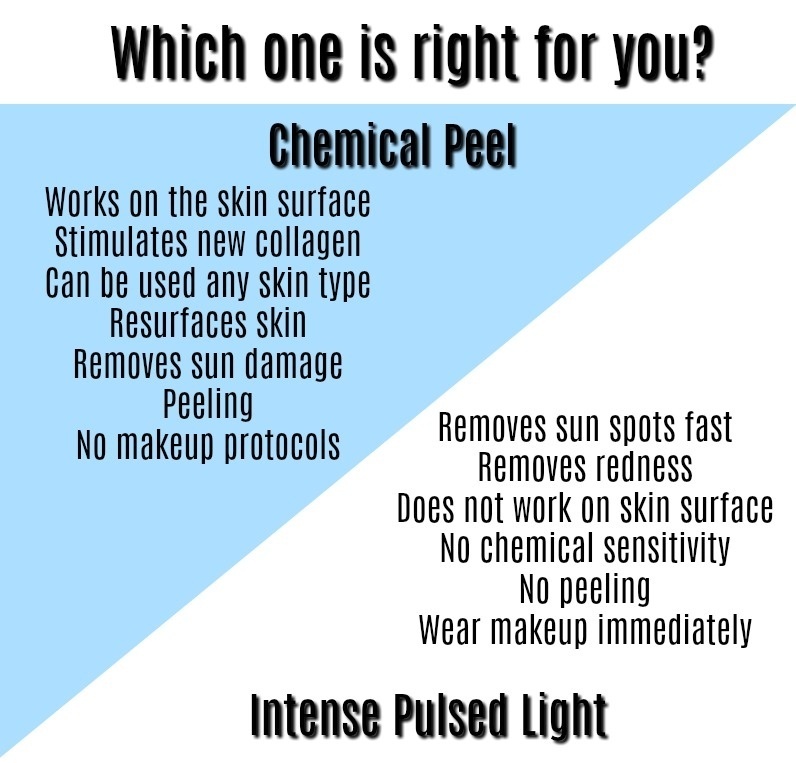 There are so many chemical peels available and at Charmed Medispa we focus on a peels that are specific for your skin conditions and desired outcome. There are mild, medium depth and deep peels. All of these chemical peels have different outcomes, peeling levels as well as risks. Chemical peels should be done on prepped and conditioned skin for the best outcome. Also, many peels are done as a series. 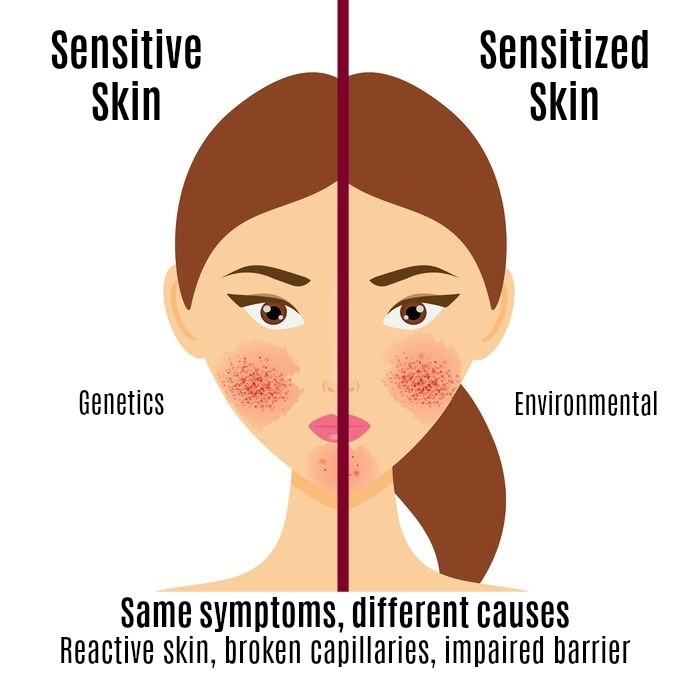 After a chemical peel treatment, you cannot wear makeup and there will be peeling which can make application of makeup for the next few days more challenging. Intense pulsed light is a laser like device that does not address the top of the skin. In contrast, the light energy goes to a target (like a sun spot or broken blood vessel) within the skin and selectively treats that. The sun spots react very well to IPL and the spots lift to the surface of the skin and fall off without any peeling of the skin. Redness will gradually go away after IPL. There is no downtime and no peeling. IPL is not the best treatment for fine lines and for some skin conditions like melasma. When you do both IPL with a peel you get the benefits of treating the top of the skin and the deeper layers and can improve skin tone, texture and colors all at the same time. This can have dramatic results on the skin. If you are looking for a med spa near you that works on a a variety of skin conditions in combination, Charmed Medispa is your pick. In addition, we also offer Botox and fillers, microdermabrasions, microneedling, facials and more. We have excellent reviews and a beautiful portfolio of before and after results in our gallery. We are proud to serve the tri-state community.